To enhance the delivery and quality of urologic care through education and advocacy for patients and physicians. The Washington State Urology Society is comprised of urologic physicians and other healthcare providers who are working to uphold the highest standards of urologic care and patient advocacy by promoting research, education, access to treatment options and innovation in urologic care. We have an obligation to our members and, more importantly, our patients to play an active role in achieving these goals. Our membership consists of urologists, physician assistants, practice administrators and industry partners that strive "To enhance the delivery and quality of urologic care through education and advocacy for patients and physicians." Our members serve more than 95% of all hospitals within the State of Washington and provide urological care to both rural and urban communities across the state. We strive to have board representation from all major regions of the state as well as a voice for all types of urological patients we serve. What is urology and what does a urologist do? 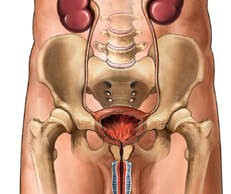 Urologists diagnose, treat and monitor disorders of the urinary tract and the external genital organs, which can include kidney, ureter, urethra, bladder, and prostate issues. Urology is the surgical specialty that focuses on the genito-urinary tracts of males and females, and on the reproductive system of males. to enlighten and facilitate health information dissemination regarding health maintenance, healthy lifestyle choices,and current campaigns in male health for Males of all ages. This site will be updated with local events and Podcasts concerning recommendations for disease prevention with appropriate recommended tests and screenings regarding all body systems. American Urological Association Male Health Checklist: auanet.org/publications/mens-health-checklist. "The Original Guide to Men's Health"
Have you listened? We're launched. The WSUS aims to advocate for the health of girls and women of all ages, by maintaining a healthy genito-urinary system and making well-informed choices about their health. A secondary aim of the Women's Health committee is to facilitate and mobilize women in urology as providers and advocates for women's health in the State of Washington. Nationally, Women Urologists are only 7% of practicing urologists, but we are fortunate in Washington State to have many more women urologists to serve our communities. WSUS supports the needs of all its members, and listens to the unique needs of women surgeons and provides opportunities to advocate, educate, build community, and facilitate discussion. Pediatric urologic health advocacy, outreach and education efforts are led by WSUS Board Member, Kathleen Kieran MD of Seattle Children's Hospital. This is a newly created chairmanship as of December 2017. Join us in welcoming Dr. Kieran to this new committee of the Washington State Urology Society. The health policy advocacy efforts are led by WSUS Past President and Government Affairs Chairman, Jeff Frankel MD. Each January, the executive board meets at its executive board retreat to discuss issues brought to our attention that are impacting our members and patients we serve to establish a priority list of health policy advocacy efforts for the coming legislative sessions. * U.S. Preventive Service Task Force (USPSTF) accountability and transparency to aid in protecting urologic patients from decisions of the task force. Contact the WSUS office if you would like to be an advocate for your community and the needs of patients and urology practices across Washington. Corporate member are non-voting members of the society who are committed to supporting the WSUS mission of "enhancing the delivery and quality of urologic care through education and advocacy for patients and physicians."